In all this and many other cases you’ll need to hire a person on the market and for your business it will be better if she or he has already know the platform. If there is a skill shortage your business development will be stalled, you’ll have to pay a premium for scarce talent or spend time and resources to train people. The same results as a table if you want to see exact numbers. 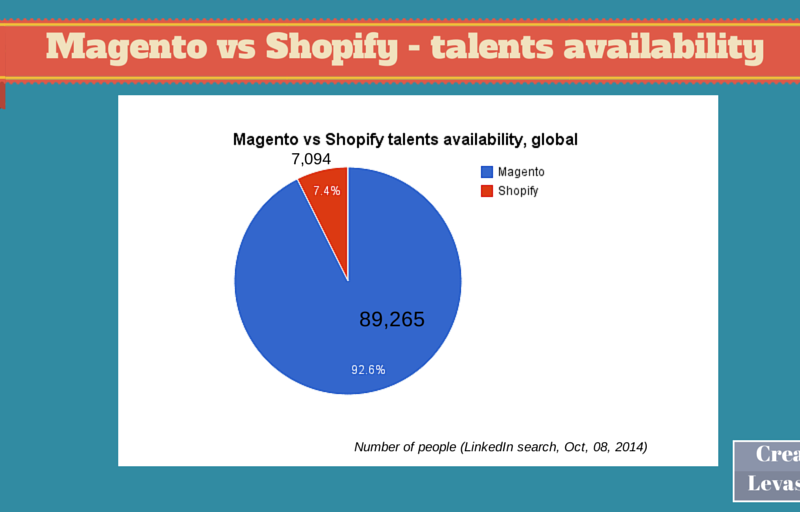 In the last column (M/S) you’ll find how many people with Magento skill is listed on LinkedIn per one person with Shopify skill. 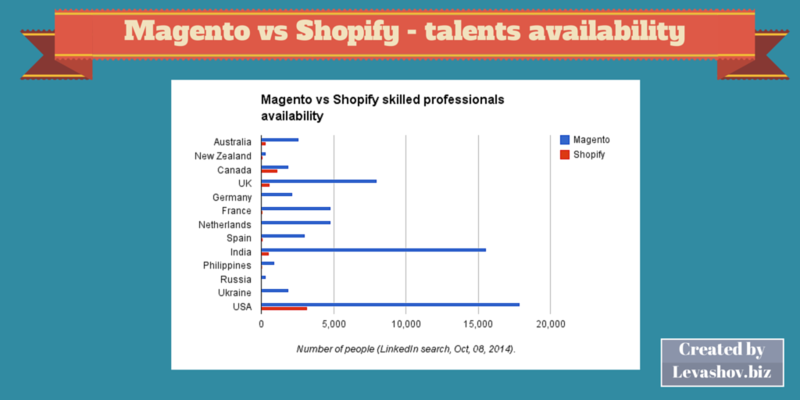 On the Magento’s side, Netherlands looks like a country with a special love to this platform. It goes in pair with France and overtakes Germany, much bigger countries. 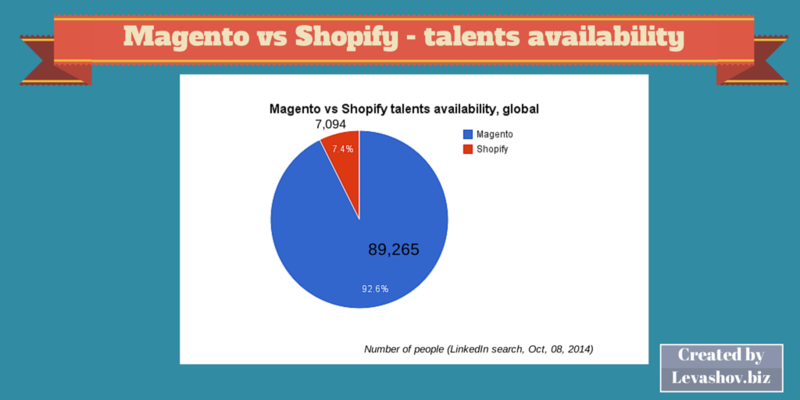 The main effect of this situation is that in the most countries you, as a business owner will probably have less problems to find employees or contractors who know Magento rather than Shopify. Probably because Shopify is easier to learn it isn’t a big deal for standard operations, but if you need a serious extension of functionality, there may be a challenge to find right people.